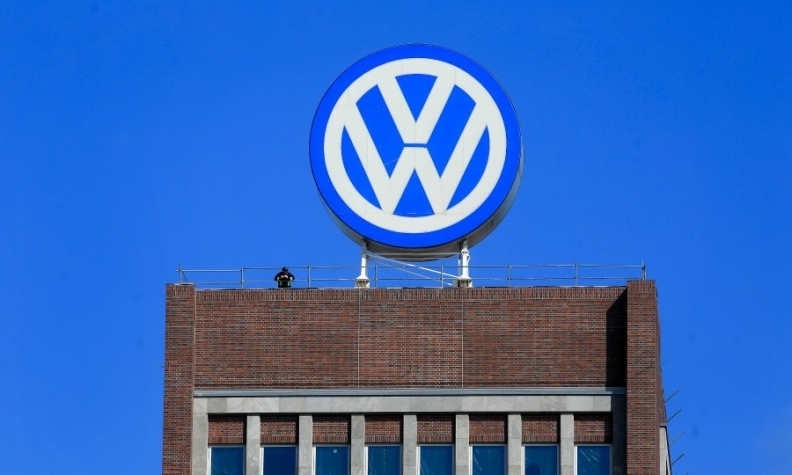 VIENNA/FRANKFURT -- Volkswagen Group is in talks with Exxon Mobil Corp. and Gazprom to back its efforts to promote cars running on natural gas, CEO Matthias Mueller told Austria's ORF radio. The automaker is working on a shift towards electric cars and fuel-saving technologies as it looks to lower its fleet-wide carbon dioxide (CO2) emissions and to overcome its diesel-emissions scandal. "We are now really trying to think out of the box and find solutions that can be helpful at least in this transition period of 10 to 20 years," Mueller said in the interview aired on Wednesday. Separately, Mueller reiterated his opposition to offering payments to European customers affected by VW's emissions cheating. In the U.S., VW has agreed to pay billions of dollars in fines and compensation payouts since admitting in September 2015 to cheating on federal diesel-emissions tests. "This is a system-relevant company and it's my task to ensure that this will continue to be the case," Mueller said. "I will do nothing that disregards legal framework conditions and jeopardizes the company." Regarding divestments, two people familiar with the matter told Reuters last week that VW is considering a possible sale of Italian motorcycle maker Ducati. In a separate comments in Austria's Kurier newspaper, Mueller sidestepped the Ducati question, saying a company like VW must always review its portfolio and that includes acquisitions as well as sales.